A week after Barcelona and Atletico Madrid made women’s soccer history, Italy has made some history of its own. A record crowd of 39,027 fans packed the Allianz Stadium in Turin on Sunday to watch Juventus beat Fiorentina 1-0, the most fans ever to attend a women’s match in the country. 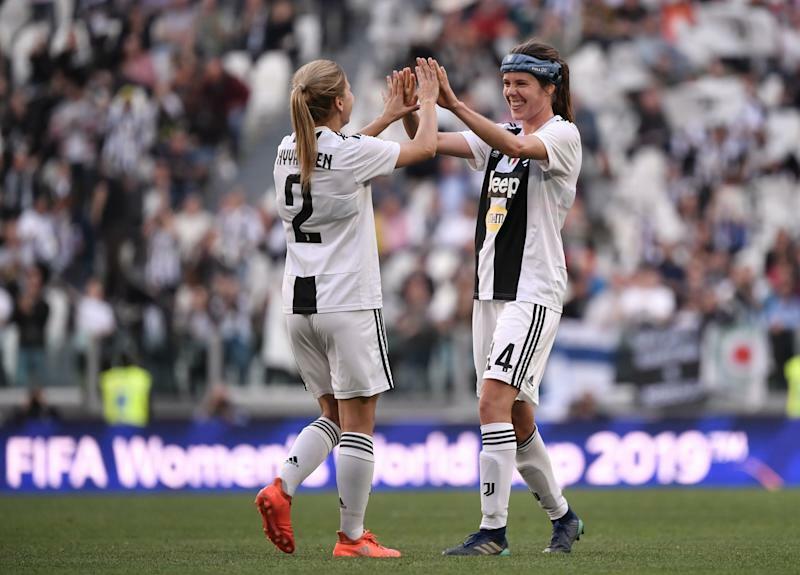 The winning goal was scored by Sofie Junge Pedersen in the 84th minute, and it preserved Juventus’ lead atop the 12-team Serie A women’s table, four points ahead of Fiorentina. This comes seven days after 60,739 fans watched Barca beat Atleti at the Wanda Metropolitano in Madrid, a record for women’s club soccer worldwide. Tickets to that match were free for Atleti club members and as little as $5.66 or so for the general public. While tickets to Sunday’s match in Italy were free, there’s no denying the rapid rise in popularity of women’s soccer. The match drew over two and a half times more fans than the previous national record, which was 14,000 according to the Associated Press. Juventus usually plays at the club training ground in Vinovo, located south of Turin, and Sunday’s match approached the 45,500 capacity of the Allianz Stadium. When it comes to the growth of women’s soccer around the world, there seems to be no end in sight.